Crested Butte is a restored Victorian mining town in south-west Colorado, 225 miles from Denver. 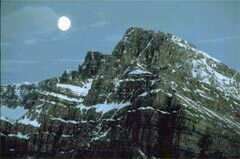 Located in the heart of the wilderness, it is isolated from the larger resorts and is renowned for its extreme terrain. Nineteenth century buildings, which have been converted into shops and restaurants, line the town's main street. The only blemishes on its aesthetic appeal are the modern looking offices and apartments. A free shuttle bus links the town with the mountainside village of Mount Crested Butte, an unappealing cluster of characterless buildings. The mountain has some very easy skiing to suit beginners, and the ski school offers special courses for the disabled. Piste-bashers may find their choice is limited but experts will not be disappointed. The Butte's 'Extreme Limits Area' is as challenging as any in Colorado and is the venue for the annually held extreme ski championships. 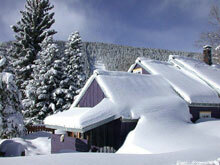 Great powder also attracts snowboarders who are well catered for in this pro-boarding venue. Irwin Lodge comes highly recommended and is to be found slightly out of town, reachable only by snowmobile during winter. Accomodation and eating out is fairly standard, and there is only one mountain restaurant. Similarly, apres-ski is low-key in this family-orientated resort. 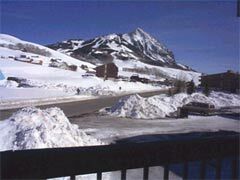 However, the charm and atmosphere of Crested Butte itself, and the nature of the local terrain, go some way to compensate for this, and it remains a popular destination for skiers and boarders alike.